Auburndale Cove skating Open today for first time! FREE Ice Skating! 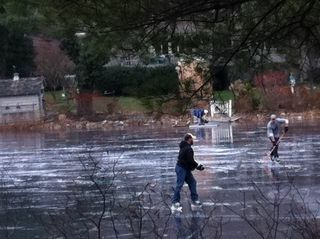 My neighbor Maxine alerted me that Auburndale Cove skating is open today for first time! 6” Black Ice – Black Ice is formed by the freezing of water without a snowcap on it; thus creating a non-porous ice that is strong in consistency. 9” Snow Ice – Snow Ice is formed when a snow covers, over a thin layer of black ice melts and re-freezes to form a white porous ice. There really is no sure answer. You can’t judge the strength of ice just by its appearance, age, thickness, temperature, or whether or not the ice is covered with snow. Strength is based on all these factors — plus the depth of water under the ice, size of the water body, water chemistry and currents, the distribution of the load on the ice, and local climatic conditions. Note that there are no ice skate rentals. Newton Centre: Check their Facebook page for when it opens. 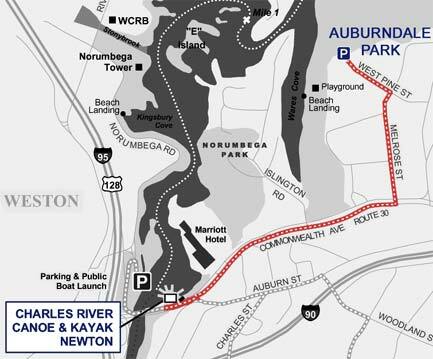 Category: Newton News · Tags: Auburndale Cove skating is open today for first time!